TB12 BRAINHQ IS MUCH MORE. Players and coaches are coming to appreciate that cognitive conditioning is as important as physical conditioning. After all, it’s the brain that controls the movement of the body. The critical movements of play are all decision-based, and typically made in split seconds. If your brain speed is slow, then your play will be slow -- no matter how physically prepared you are. 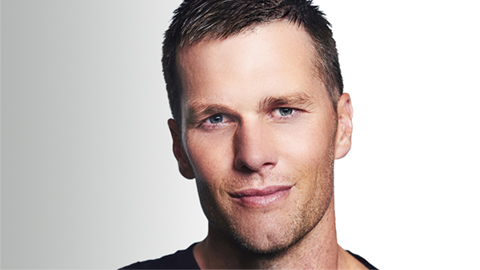 TB12 BrainHQ targets brain speed and accuracy, so quicker and better split-second decisions become instinctual. It takes less than five minutes to do each exercise level, so you can train in small bites or long blocks, depending on your schedule. 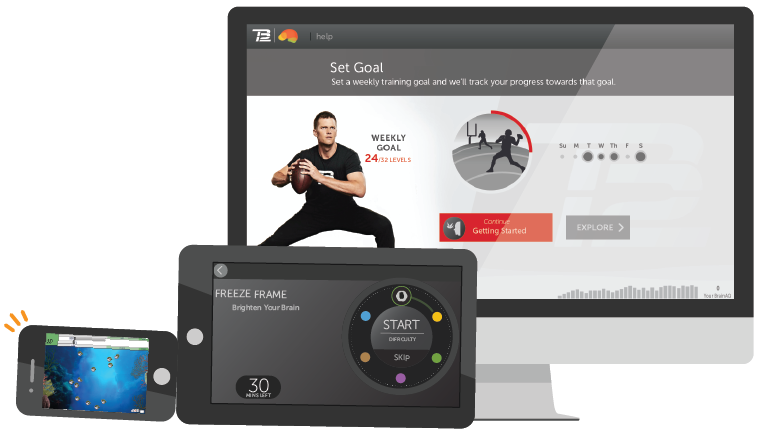 Plus, TB12 BrainHQ lives in the Cloud, so you can access it from pretty much any computer or mobile device. If you want, you can set personal training goals and a schedule, and have the program send you reminders, or, you can just fit it into those unexpected down times, on whichever device is at hand. 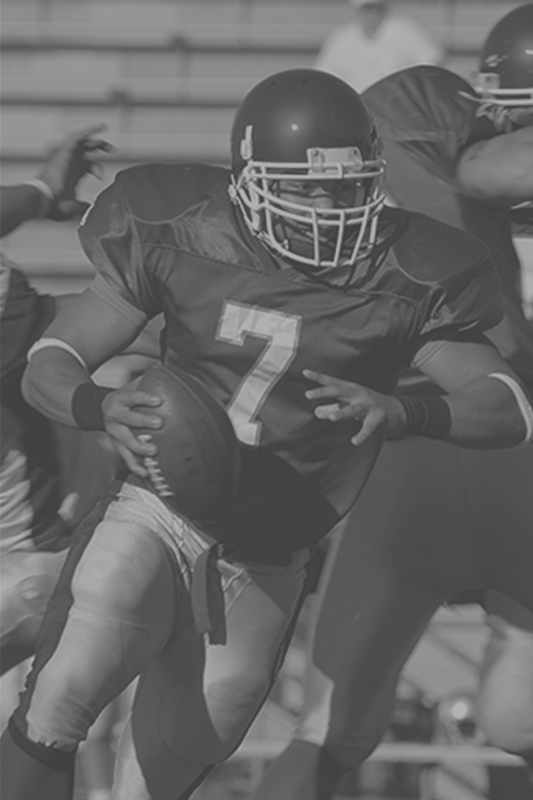 TB12 BrainHQ has 29 online exercises organized into six cognitive realms: attention, brain speed, memory, people skills, navigation, and intelligence. Registered free users of BrainHQ can sample parts of one exercise every day, through the Daily Spark.